This piece from American Standard has an all-around look that works well with many bathroom styles. This dual-control faucet gives off a modern feel and looks great in any bathroom. Make your sink look even more beautiful with this item's easy-to-install deck mounted design. This WaterSense certified faucet helps save water, money, and the environment. 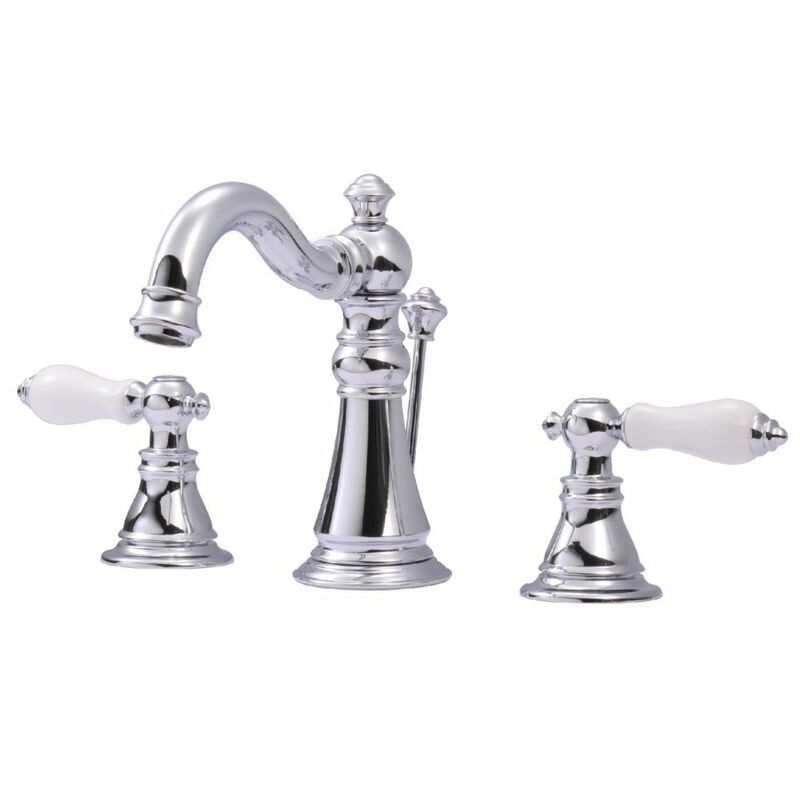 Classic 8 inch Widespread 2-Handle High-Arc Bathroom Faucet in Chrome Add an Old World feel to your bathroom with this Victorian spout faucet. Constructed of metal, it is built to last for years. From the quarter turn handles to the widespread design; this will be the centerpiece to any bathroom. Classic style widespread faucet is constructed of a solid brass body for enhanced finish and performance. Classic 8 inch Widespread 2-Handle High-Arc Bathroom Faucet in Chrome is rated 4.4 out of 5 by 29.